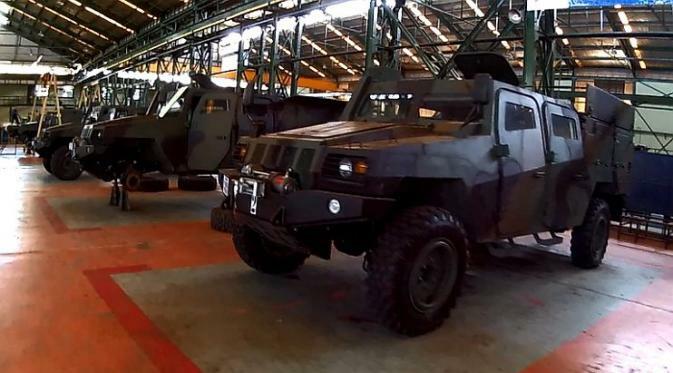 The Komodo is the first tactical vehicle to come from an Indonesian manufacturer. Its development was handled by the state-owned firm PT Pindad, whose portfolio (spanning small arms, explosives, and construction equipment) is one of the most comprehensive in Southeast Asia, at the behest of the government. This began in 2011 and the Komodo debuted at a local arms show in 2012. By 2015 the vehicle was ready for serial production. The Indonesian military, or TNI, maintain a colorful fleet of light trucks and armored cars bought from France, the UK, and the US. In previous decades these were ideal for deploying across the country’s length and breadth in terrain unfriendly to tracked vehicles. By choosing a local model, however, the TNI can stay ahead of the curve while sparing itself from having to shop and negotiate for an imported bespoke armored car. Although it’s been put on display during arms shows and received glowing publicity, the Komodo’s international exposure leaves much to be desired. With 80% of its parts sourced from Indonesia, further details on its armor protection and engine type are unavailable at the moment. But in form and function it belongs to the same category as the Renault Sherpa and the Kia LTV. As a matter of fact, the original variants of the Komodo used the same chassis and engine–turbo diesel, producing between 200 and 215 horsepower–as the Sherpa. The Komodo is meant to serve as a workhorse tough enough for intense combat and capable of fulfilling whatever mission its client requires. It can haul 7.3 tons of cargo and travel 450 kilometers on a full tank. The Komodo is light enough for transport by medium-lift helicopter or cargo plane and is capable of fording at least 2.5 feet of water, an ideal depth for navigating rivers, streams, and marshes. When configured as an APC it seats four in its cab, including the driver and co-driver. The passenger compartment is spacious enough to fit a handful of occupants. A roof hatch complements a turret for a basic armament like an M2 Browning, a multi-grenade launcher, or a light machine gun. As an armored car the Komodo can serve as an ambulance, a recce vehicle, a command post, a personnel carrier for government and civilian use, and a mobile SAM launcher–the last variant involves installing a tandem MANPADS launcher on its bed. Indonesia’s police, special forces, and army are scheduled to receive small batches of Komodo’s in the coming years. It’s worth pointing out the Komodo is the only vehicle of its kind in the region. 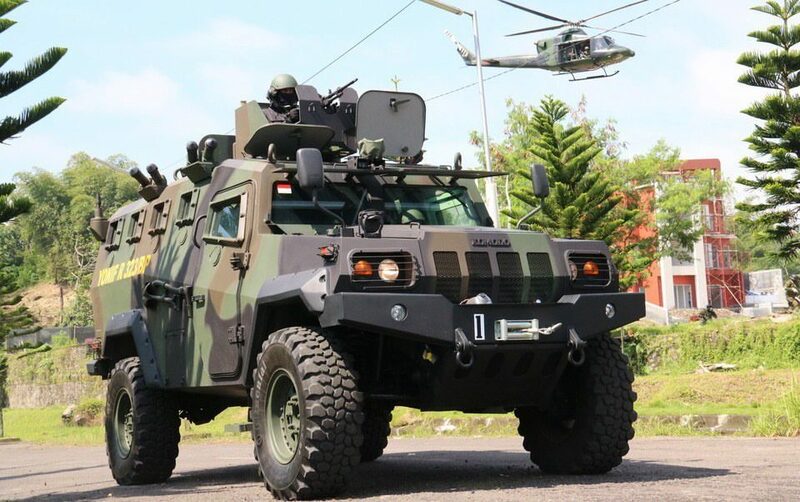 Its export potential might still be dim but armies looking for cost-effective mobility solutions in either urban areas or difficult terrain should find the Komodo attractive. Given current trends in the tactical wheeled vehicle market, the Komodo may outgrow its original form and be altered for a multitude of tasks, be it asymmetric warfare, combat engineering, VIP protection, or C4ISR. This could brighten its prospects among Indonesia’s neighbors if they’re willing to forego tracked APCs in favor of a multirole truck.